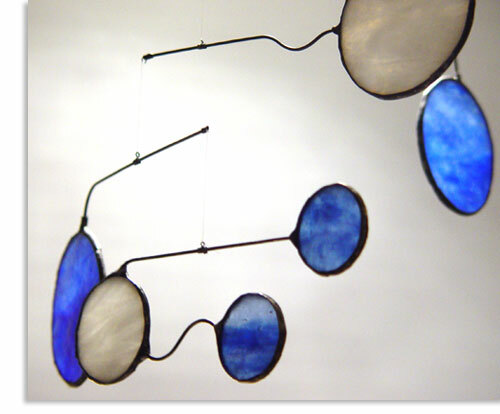 This hanging stained glass mobiles features three 4" Stipple blue glass and two 3" white stipple glass. They are copper foiled and soldered with lead free solder. the rails are formed with copper plated steel and have been patina for an antique finish.